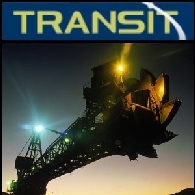 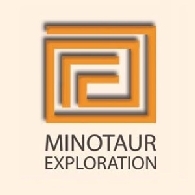 Minotaur Exploration Ltd (ASX:MEP) advises its 50% owned subsidiary1 Minotaur Gold Solutions Ltd (&apos;MinAuSol&apos;) has completed its acquisition from Breakaway Resources Ltd (&apos;Breakaway&apos;, ASX:BRW) and its wholly owned subsidiary Scotia Nickel Pty Ltd of the Scotia tenements in Western Australia. 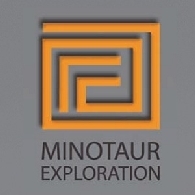 Minotaur Exploration Ltd (ASX:MEP) and its wholly-owned subsidiary Minotaur Gold Solutions Ltd (&apos;MinSol&apos;) have entered into a binding Sale and Purchase Deed (&apos;Purchase Agreement&apos;) with Breakaway Resources Ltd (&apos;Breakaway&apos;, ASX: BRW) and its wholly owned subsidiary Scotia Nickel Pty Ltd (&apos;Scotia Nickel&apos;) to acquire 14 tenements in Western Australia (&apos;Scotia tenements&apos;). 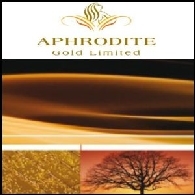 Asian Activities Report for October 25, 2011 includes: Transit Holdings Limited (ASX:TRH) has commenced drilling on the second drilling site on the Company&apos;s Paradox Basin Potash Project in the USA; Aphrodite Gold Limited (ASX:AQQ) announces further excellent results from its ongoing RC drill program at the Aphrodite Gold Project in Western Australia; Bathurst Resources Limited (ASX:BTU) announces a 37% increase in the JORC reserves to 17.3 million tonnes of ROM coal at its Buller Coal Project in New Zealand; Sirius Resources (ASX:SIR) has discovered a broad zone of nickel, copper and cobalt enrichment in the first ever drilling at the Eye prospect at its 70% owned Fraser Range project in Western Australia. 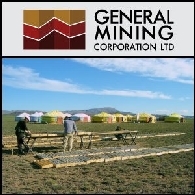 Asian Activities Report for September 27, 2011 includes: General Mining Corporation Limited (ASX:GMM) has signed an agreement to acquire a coal exploration licence in Mongolia; Aphrodite Gold Limited (ASX:AQQ) announced further robust gold intersections at its Aphrodite Gold Deposit; Agenix Limited (ASX:AGX) has filed a patent application for its hepatitis B drug AGX-1009; Manas Resources Limited (ASX:MSR) reported a 20% increase in its Shambesai Total Mineral Resource to 766,000 ounces of gold; Infotech Enterprises Limited (BOM:532175) announced its partnership with Software Engineering Institute. 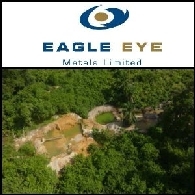 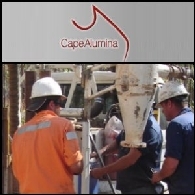 In April 2010 Aphrodite Gold Limited (ASX:AQQ) granted Eagle Eye Metals Limited (ASX:EYE) an option to acquire a 20% interest in the Aphrodite Gold Project, in return for financial and technical support provided by the Company. 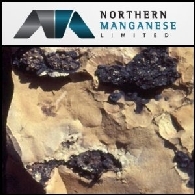 Asian Activities Report for May 5, 2011 includes: Cape Alumina Limited (ASX:CBX) has finalised access agreements with western Cape York Aboriginal land owners in the Company&apos;s Bauxite Hills mine and port project area; Aphrodite Gold Limited (ASX:AQQ) announced further significant results from its flagship Aphrodite Gold Project in Western Australia; Mozambi Coal Limited (ASX:MOZ) has commenced an initial coal drilling programme on the Tete West project in Mozambique; Kibaran Nickel Limited (ASX:KNL) has commenced drilling at the Kagera Nickel project in Tanzania. 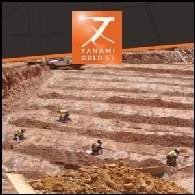 Australian Market Report of November 18, 2010 includes: Tanami Gold NL (ASX:TAM) announced A$8M plant upgrade in Western Australia; Syndicated Metals Limited (ASX:SMD) announced high-grade copper-gold discovery; Aphrodite Gold Limited (ASX:AQQ) reported shallow, high grade gold intersections in Western Australia; Sovereign Metals Limited (ASX:SVM) acquired 100% interest in the Tate River Project in Queensland.